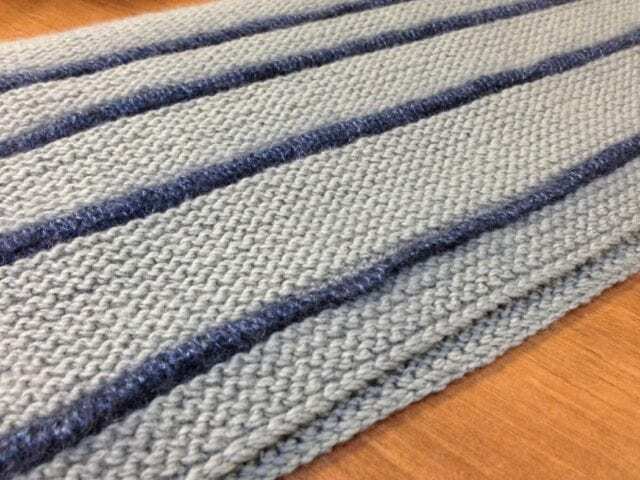 Shibui Sample of the Month: Breton Cowl. 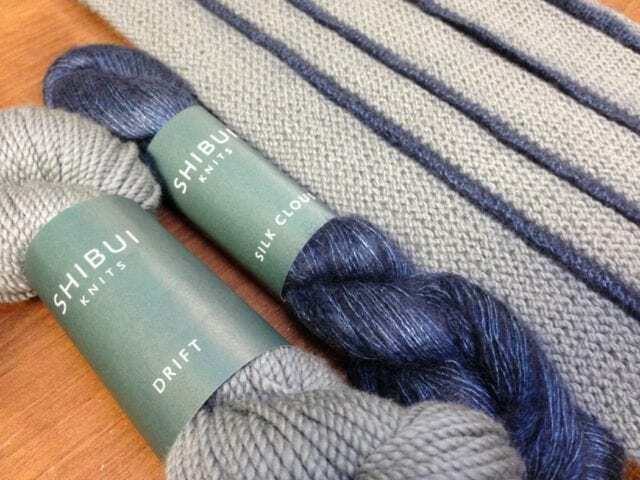 November is here, and with it, a new Shibui Sample of the Month! We offer a 10% discount on Shibui yarns purchased for our featured sample til the end of the month. 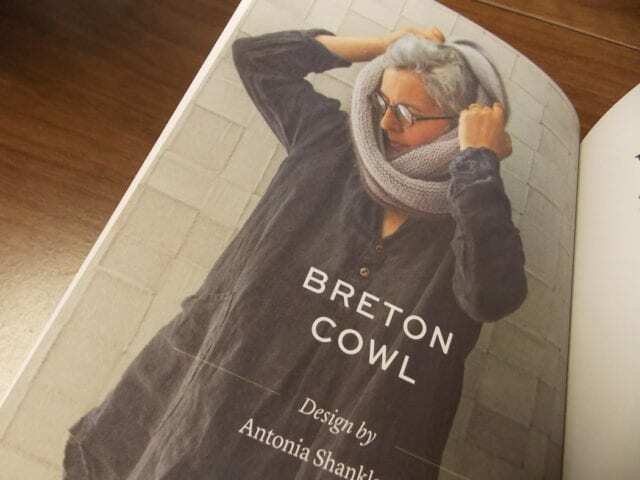 Our current Shibui Sample of the Month is the “Breton Cowl,” by Antonia Shankland, from Mason-Dixon Knitting Field Guide No. 1: Stripes. This luxurious cowl is knit with thick garter stitch stripes of smooth Shibui Drift, punctuated by stockinette welts in fuzzy Silk Cloud. We’re offering a 10% discount on Drift and Silk Cloud purchased for this project til the end of the month, so come by the shop to see it before November 30th!